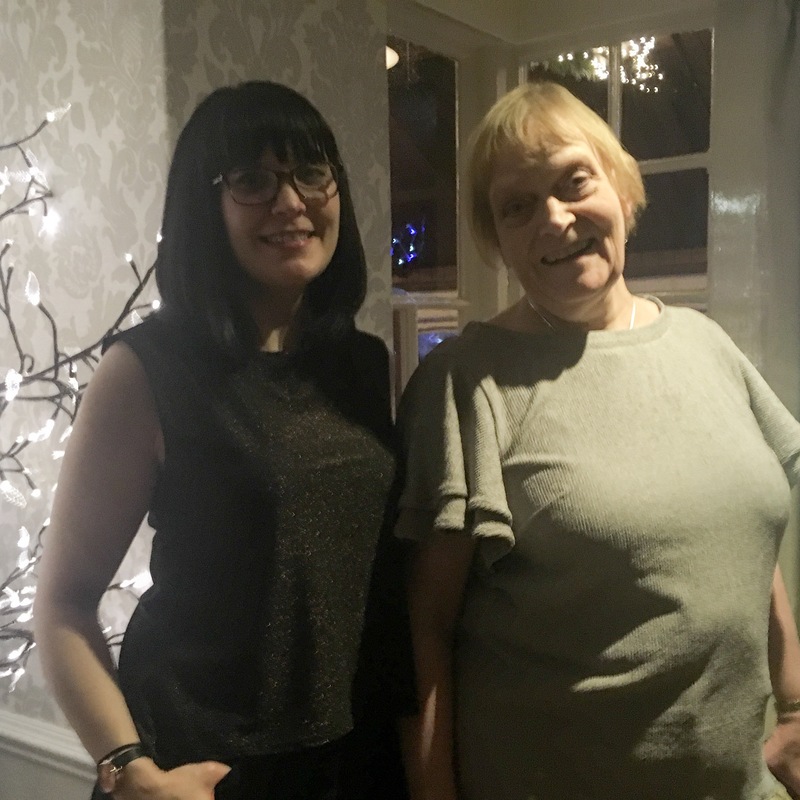 It’s party season again! 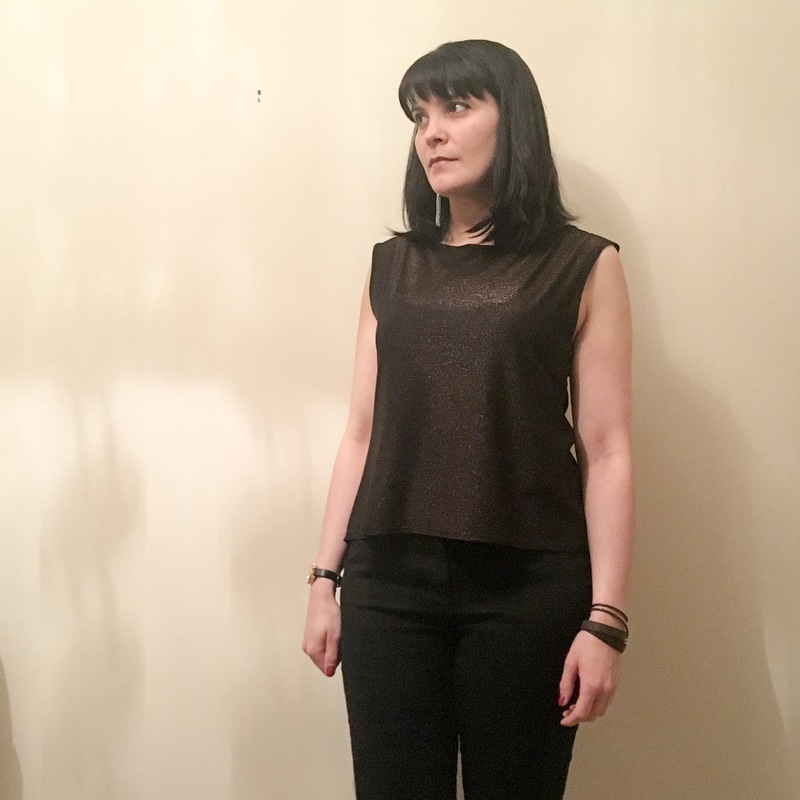 That of course means I need to make a new party dress… except this year I just stuck to making a new top. I shared my plans a couple of blog posts ago along with other items I was hoping to sew over the winter. So let’s jump straight to it.. 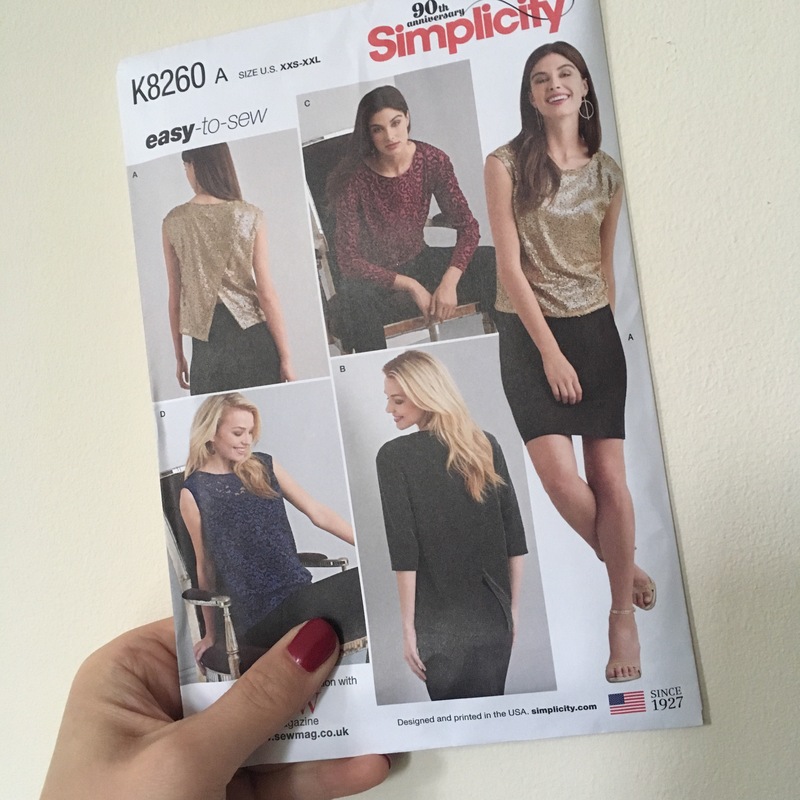 The pattern came from Sew Magazine in October, its Simplicity K8260. A simple but interesting crossover back shell top, which has a few variations, but only one I was interested in on the top left there. I wanted sparkles but didn’t want the headache of sequins, so I went on a hunt for an alternative. I managed to source a jersey on eBay which had metallic threads woven through it… perfect! That would make it comfortable, with drape, and no sequins!! Fitting didn’t go exactly to plan. It turns out this pattern is a very large fit! I have found myself struggling with big 4 patterns because of this, indie patterns tend to include the finished garment measurements which I prefer to use… it means I get just as much ease as I want! This top came out huge!! I had to shave off a whopping 2″ on each underarm. It’s left the top with a kind of cap-sleeve effect. But I quite like that. The crossover back came together really nicely, I like that it actually covers your back (and makes your bum look like Beyoncés… hey I can dream). There are some drag lines over the upper body which I think could have been avoided by going down a size or two. 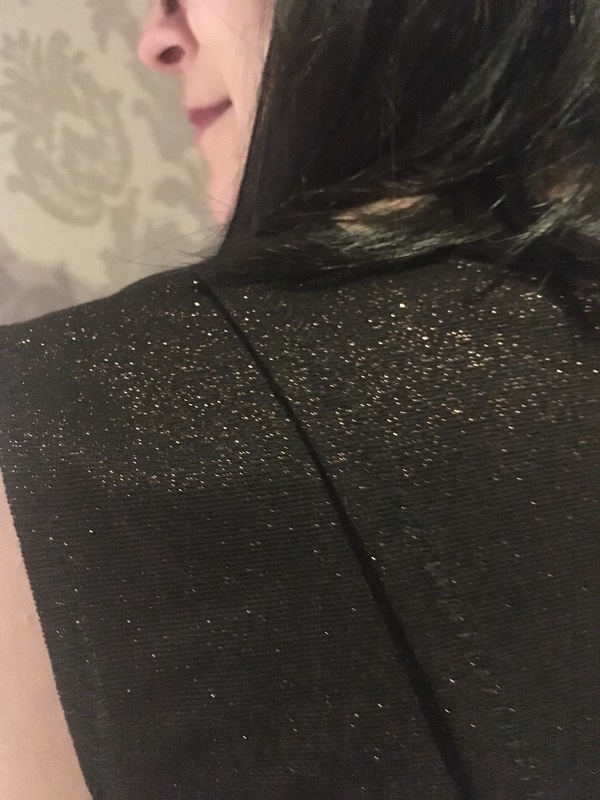 On the close up you can see the copper coloured threads in this jersey, it’s actually a black colour, but the copper threads make it look brown. I think it’s suitably festive though and feelrather glamorous wearing it. The edges are very simply folded over and zig zag stitched. While this is fine, it’s not the neatest finish, if it weren’t for the sparkle the stitches would probably look obvious and clumsy… but I guess if it was going to be more obvious I would have done a different finish. Those bottom points were just meant to be folded too… but I figured doing mitred corners couldn’t hurt. It feels a little neater. 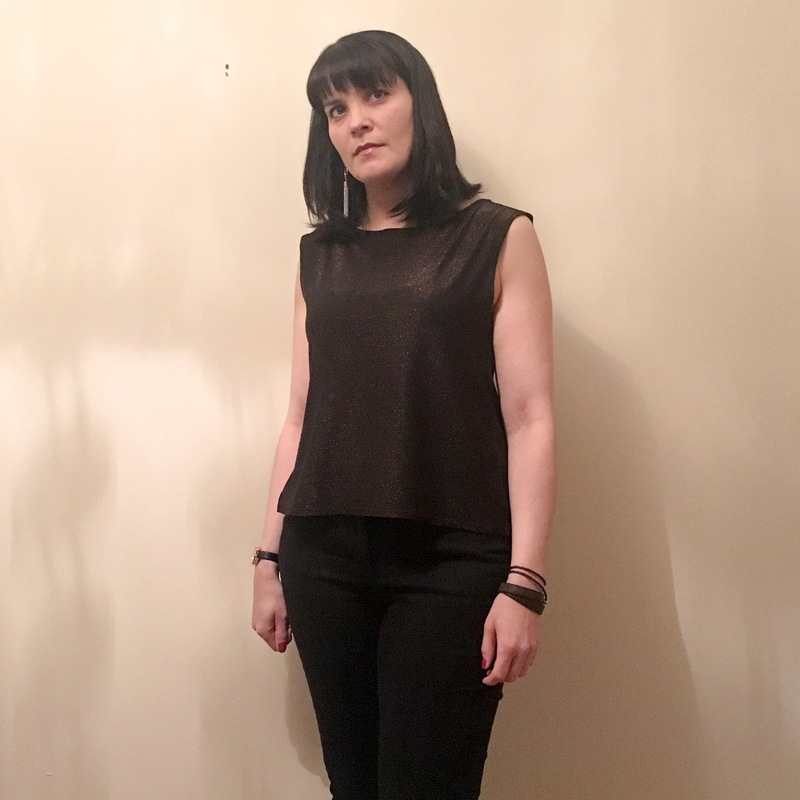 I will confess that it’s a very thin top and I’ve not worn it without an extra vest top underneath… but because of the shape you really can’t tell. Hers is over on her blog ’60somethingteacher’ if you want to read how hers was put together. Apple doesn’t fall far from the tree as they say. 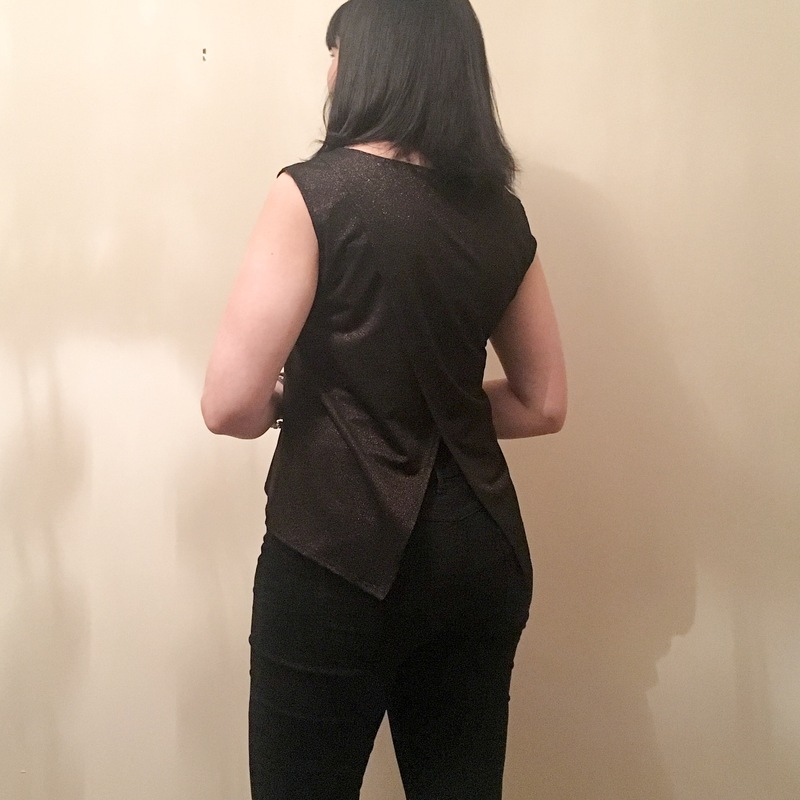 It’s a lovely top and really suits you – love the cross-over back.